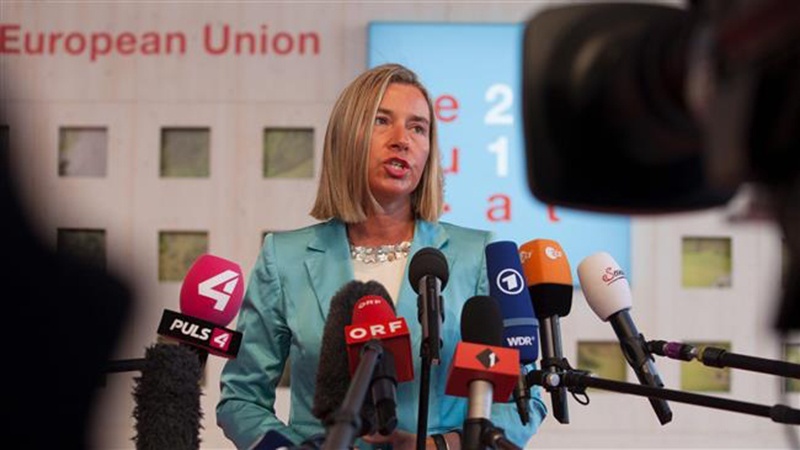 European Union’s foreign policy chief Federica Mogherini says the 28-nation bloc would continue its work to preserve a 2015 multilateral nuclear agreement Iran signed with the P5+1 group of countries after the US unilateral move to pull out from the deal. According to Press TV, Mogherini made the remarks while speaking at a press conference in Vienna on Friday following an informal meeting of foreign affairs ministers of the EU states (Gymnich). “Our work continues with all the member states and with other partners in the world, to make sure that Iranians and Iranian citizens can benefit from the economic relations not only the European Union’s member states, but also others in the world,” the senior EU official pointed out. On Thursday, the IAEA once again reaffirmed Iran’s full compliance with its commitments under the Iran nuclear deal in the second such report after the US stopped fulfilling its side of the bargain and left the multilateral agreement in violation of international law. “Timely and proactive cooperation by Iran in providing such access facilitates implementation of the Additional Protocol and enhances confidence,” the UN nuclear agency said.